KATHMANDU, Jan 4: At a time when speculation is rife that Pushpa Kamal Dahal may become prime minister with the support of the Nepali Congress (NC) and other parties, Dahal himself has made it clear he will not join a government formed outside the left alliance. Talking to journalists at the Maoist party office on Wednesday, CPN (Maoist Center) Chairman Dahal said he has never imagined forming a government, breaking the party's alliance with the CPN-UML. “The left alliance has been endorsed by the people and the rank and file. We cannot even think of deviating from this alliance. 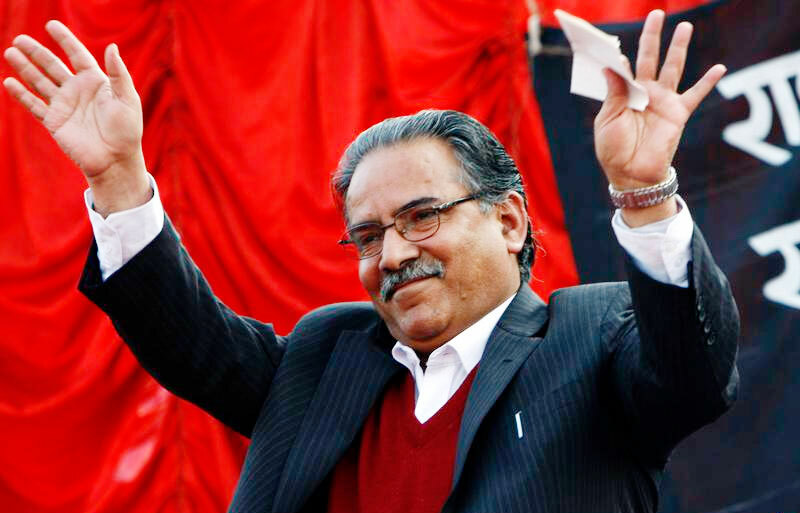 I have not even imagined becoming prime minister at the cost of the left alliance,” said Dahal, refuting media reports. Dahal's statement comes at a time when some NC leaders are publically offering their support to Dahal if he is ready to be prime minister. Earlier, NC leaders Ramesh Lekhak and Mahendra Yadav said that NC would help Dahal become prime minister if he is ready to form an alliance with that party. After the Maoist Center stuck to its demand for the post of party head for Dahal in the unified party, the unification process between UML and Maoist Center has stalled on the verge of new government formation. With UML chief Oli eying the post of prime minister with the support of the Maoists, Dahal has sought the post of party chief for himself. Stating that party unification had been delayed by Oli's poor health, Dahal said the process would be accelerated after Oli recovers. “It will be an illusion to doubt unification between the two parties. 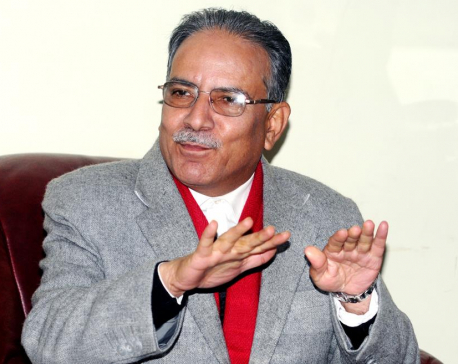 We will expedite the party unification committee meetings and the unification process within a few days,” he added. According to Oli's aides, he was suffering from diarrhea and was resting in bed for the last three days. After recovering, he held meetings with some close party leaders on Wednesday. “He is scheduled to meet Maoist chief Dahal on Thursday to discuss the party unification process,” said Oli's press advisor Chetan Adhikari. But the meeting of the party unification coordination committee has been put off for an indefinite period following the deadlock over adjusting major leaders in party posts. According to sources, some UML leaders who are vying for the future leadership of the party are against giving the executive position in the unified party to Dahal. Some second rung UML leaders have been saying that the same leader should head both the government and the party.